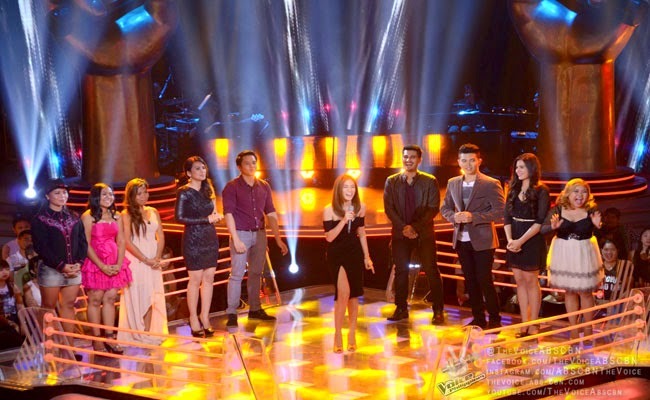 Knock Out Rounds of The Voice of the Philippines Season 2 had finally kicked off on January 10, 2015 and started off with Team Apl as the artists fight to be in the Top 6 of the camp. Tony Gonzaga asked Apl if he has any words for his team. He gave meaning to his name’s acronyms A for astig na vocal, P for powerful performance and L for laging Lumalaban, Tony said it might mean Abot Pang Live to which many had approved. The first groups consisted of Ferns Tosco, Suy Galvez and Patricia Gomes. Apl put them together because of their unique voices. Tosco picked ‘Let It Be’ because Beatles had been her favorite band. Apl expressed his excitement for her own version. Suy Galvez picked the classic song ‘At Last’. Apl pointed her lack of consistency and reminded her of it. Gomes had chosen ‘Oo’ to which had easily put everyone into a jive. The othercoaches had rooted for Suy. Apl had picked Tosco to be the first artist to get into Live Shows. She was followed by Suy. The group was made up of Marc Cando, Daryl Ong and Bradley Holmes. Apl chose them since they were all males. Cando had chosen ‘The Impossible Dream’ for his father. Apl said that it shows a different side of the artist. Ong had picked ‘The Greatest Love of All’ to express himself. Apl said that he seemed to be smooth. Holmes picked ‘Kamusta mga Kaibigan’ and dedicated the song to his family and friends as they are his inspiration. His presence had been evidently felt by everyone. Lea liked Holmes performance while Sarah rooted for Ong which was seconded by Bamboo. Apl had to let go of Marc Cando.